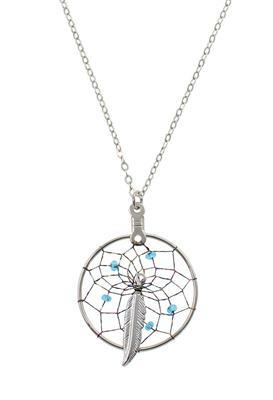 This beautiful 1 inch dreamcatcher pendant webbed with metallic thread sparkles when light hits it. A metal feather at the center of the web and seed beads accent this small piece tastefully. This pendant and chain are Rhodium plated and are hypoallergenic.